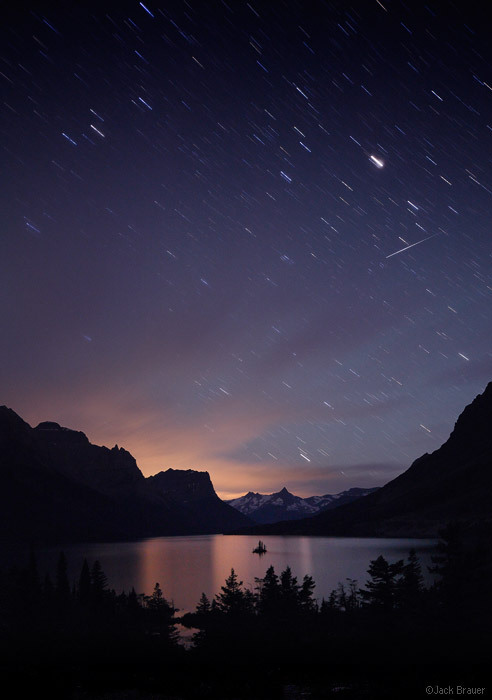 Stars and a shooting star over St. Mary Lake and Wild Goose Island. The clouds are illuminated by the lights of the town of Apgar on the west side of the range. Our last night in Glacier National Park: sitting by Saint Mary Lake, drinking wine, reminiscing about all our recent adventures and dreaming about more to come. All in all, it was a great trip – we packed in a lot of adventures during our three weeks away. In fact, except for the big driving days, we hiked every single day of the trip! Now we’re happy to be back home in the San Juans where thankfully it’s been raining nearly every day while we were gone, ending the drought that spurred us north to Montana three weeks ago. 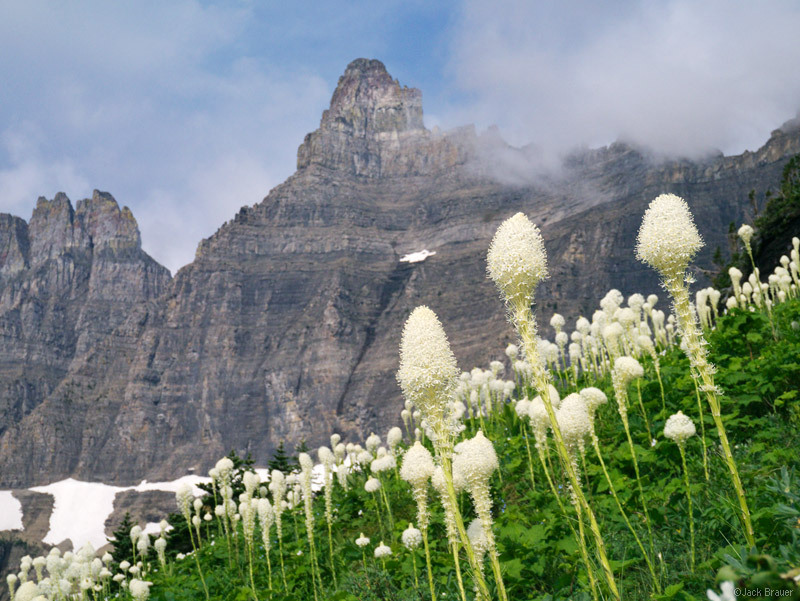 Posted in Uncategorized and tagged Glacier National Park, Montana on July 19, 2012 May 19, 2013 by Jack Brauer. 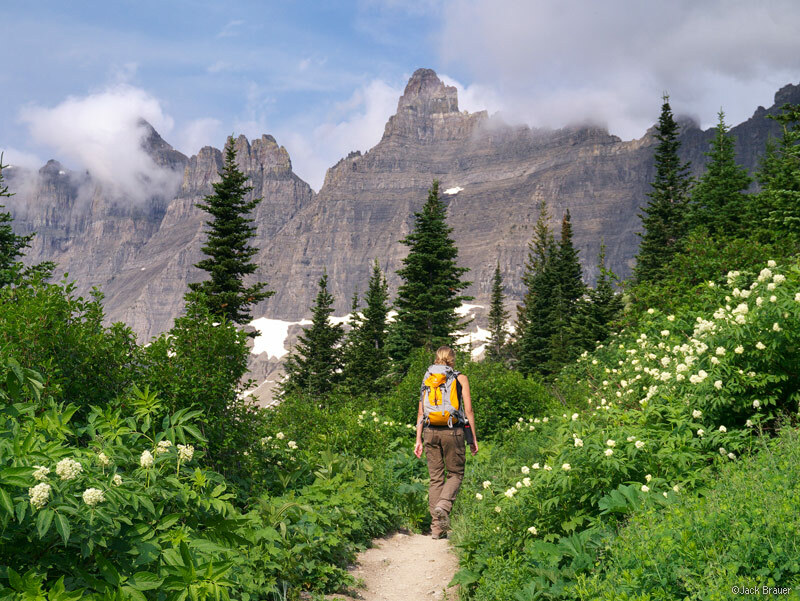 Hiking towards Piegan Pass, from the Going to the Sun Road. 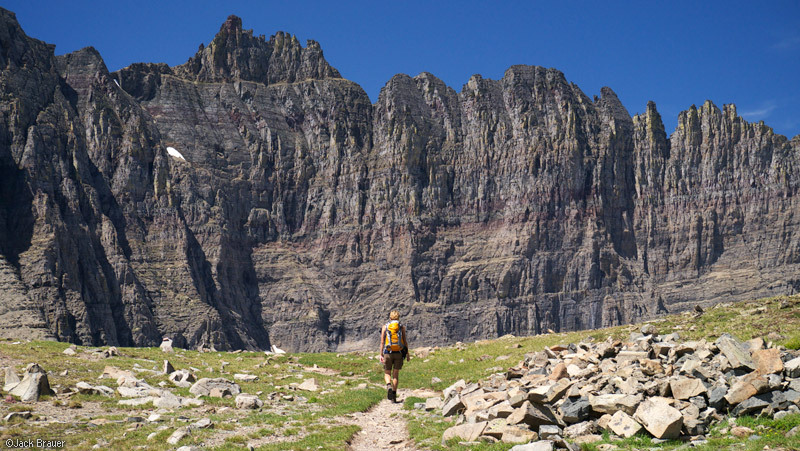 For our last hike during our stay in Glacier National Park, we went up to Piegan Pass – a nice day hike from the Going to the Sun Road. Once at the pass, we were greeted with an awesome view of the sheer walls of Mt. Gould. Hiking above Piegan Pass, with Mount Gould and the Cataract Creek valley in the background - July. After lounging around on the pass for a while, we decided to hike up to another pass that’s about 1,000 feet higher. An awesome vista from the pass higher up to the southwest from Piegan Pass, between Pollock and Piegan Mountains. The valley below is where the Going to the Sun Road passes, just to the east of Logan Pass. Posted in Uncategorized and tagged Glacier National Park, Montana on July 19, 2012 November 24, 2013 by Jack Brauer. After extensive puzzle solving and backup planning, we finally scored backpacking permits for a 5-day trek in Glacier NP! As I mentioned before, it’s not easy getting these permits since half of the campsites are already reserved and the others fill up quickly each day. And of course, as with most national parks you have to camp in the designated campsites when backpacking. So after repeatedly getting denied, I was stoked when I showed up at the ranger station promptly at 7:00am and the ranger said that we got our desired itinerary! Glacier had an above-average winter snowpack this year, so unfortunately most of the high treks we wanted to do were still closed – but we managed to figure out a nice route for our trek anyways. 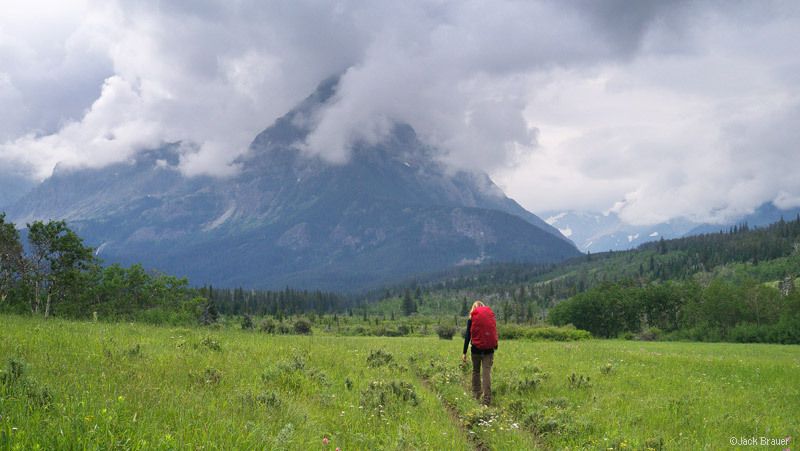 We started from the Chief Mountain TH, just yards from the Canadian border, and hiked up the Belly River valley. We spent the first night at Elizabeth Lake, in the valley to the left of the mountain in the photo above. We then backtracked and hiked up the Mokowanis River valley – the valley to the right side. Posted in Backpacking & Trekking and tagged Glacier National Park, Montana on July 18, 2012 February 1, 2018 by Jack Brauer. 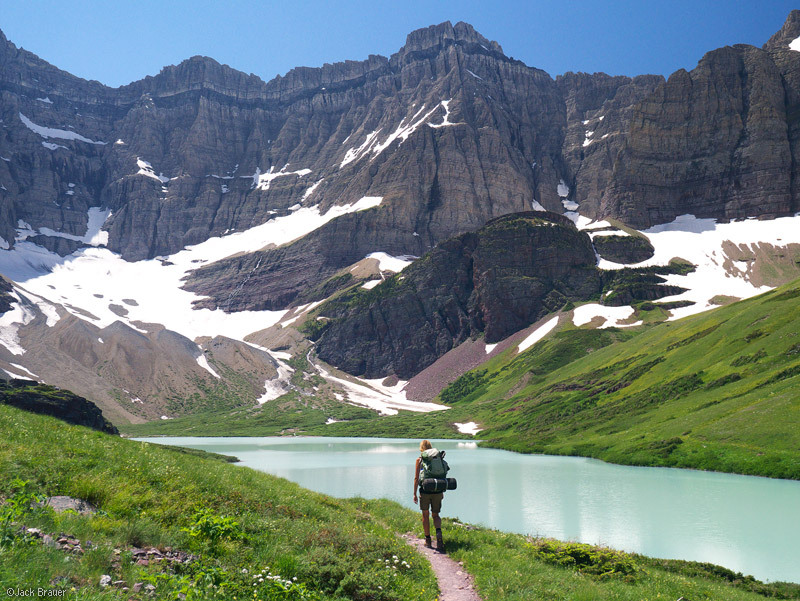 Our next outing was a day hike to Iceberg Lake, one of the most popular hikes in Glacier NP. One nice benefit of the busy trail is not having to shout for bears so much! 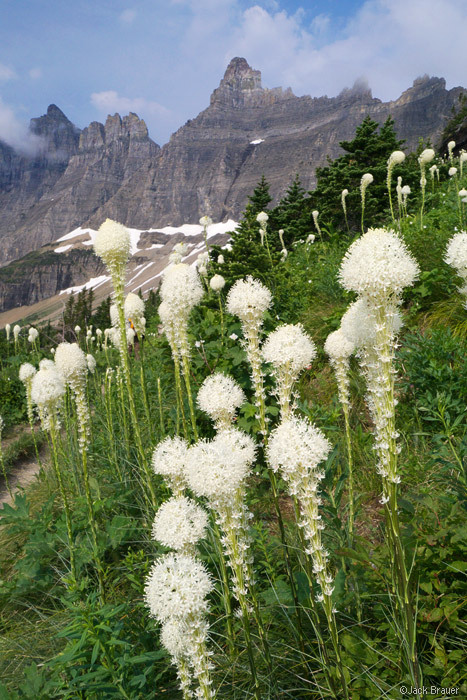 Beargrass wildflowers are so cool. They look like fireworks, and I bet that if a patient photographer were to make a multi-day/week time-lapse video of the flowers, they probably would look just like fireworks shooting out of the earth and exploding in the sky! The lake, true to its name, was still frozen over and unphotogenic, but I had a great time anyways shooting photos of those beargrass flowers. 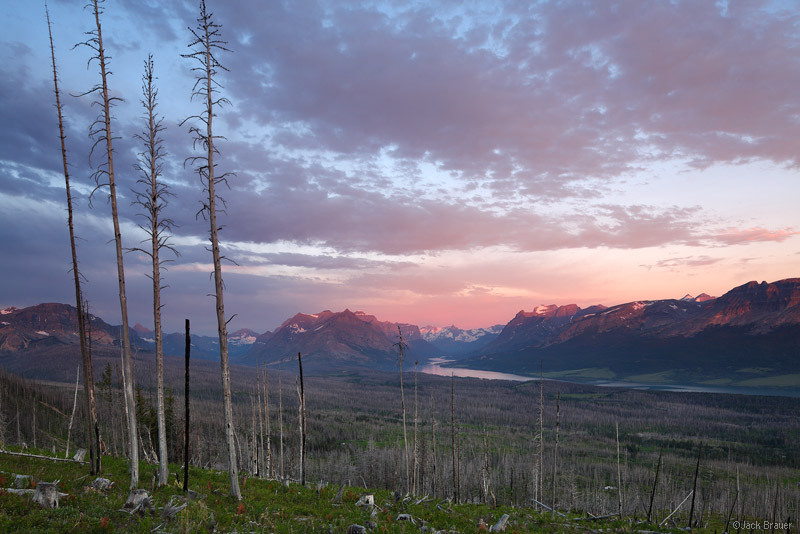 Posted in Uncategorized and tagged Glacier National Park, Montana on July 13, 2012 November 24, 2013 by Jack Brauer. After our time in Yellowstone, we powered up though Montana to Glacier National Park, which has been on my dream destination list for many years. 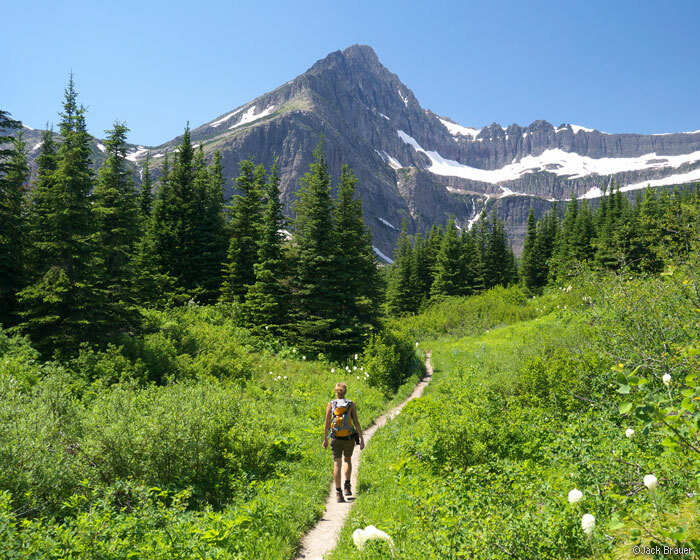 This summer was a great time for us to choose this destination, since northern Montana (along with Washington) was one of the few areas is the lower 48 states not experiencing drought conditions and associated fires and smoke. We arrived in the evening and found a nice place to camp in the truck, on a dirt road in a burned forest area with a great view of the mountains. The first things to greet us in Montana were the mosquitos, which we would become well acquainted with over the next few weeks! In the morning I hopped out of the truck to snap the sunrise shot above. On our first day there we did a little day hike up Swiftcurrent Creek to Bullhead Lake. I could tell right away that this would be an awesome trip! 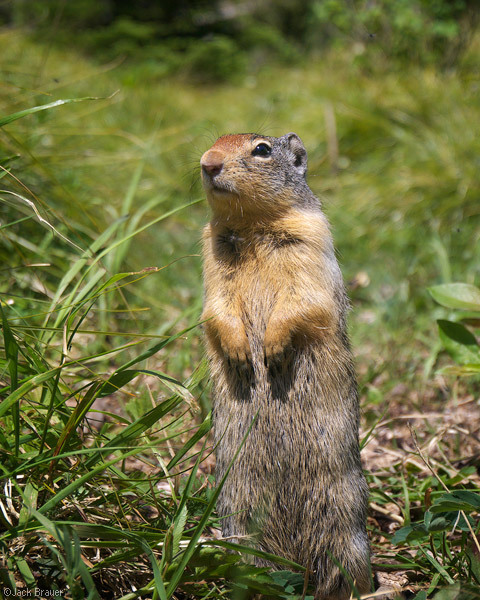 These ground squirrels are all over these mountains, always looking for a handout or spilled food. 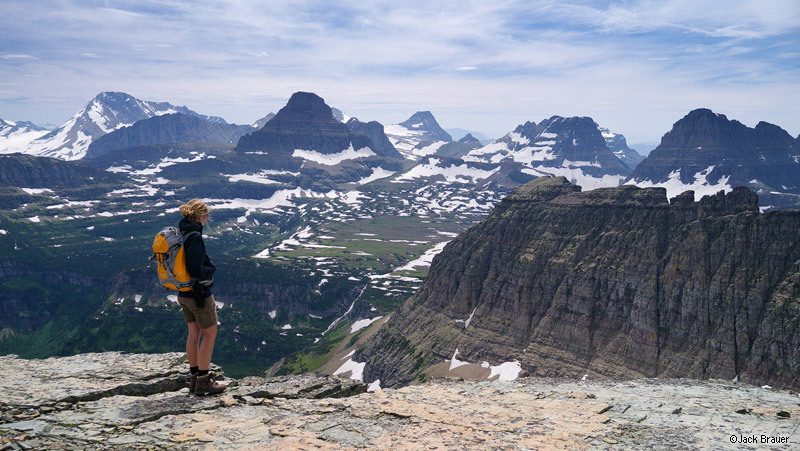 We soon realized that it would take some serious strategy to spend our time in Glacier National Park. For one thing, we’d be camping at the campgrounds most of the time, and since they are all first-come-first-serve, this means that any night spent in a campground would require an arrival at about 10am – after the previous campers started leaving, but before the campgrounds filled up completely. Secondly, and most importantly, backpacking permits are also hard to come by, with half of the designated campsites already taken by reservations, and the remaining half available on a first-come-first-serve basis for the following day. So, this meant repeated 7am visits to the ranger station, lots of planning and backup plans, and good old fashioned luck-of-the-draw. Fortunately after much frustration we did manage to get some nice backpacking trips lined up – more on that later! 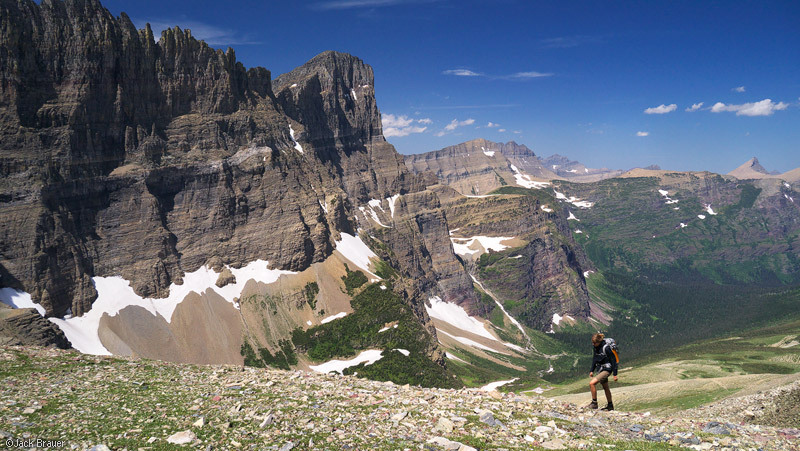 Posted in Uncategorized and tagged Glacier National Park, Montana on July 10, 2012 May 19, 2013 by Jack Brauer.